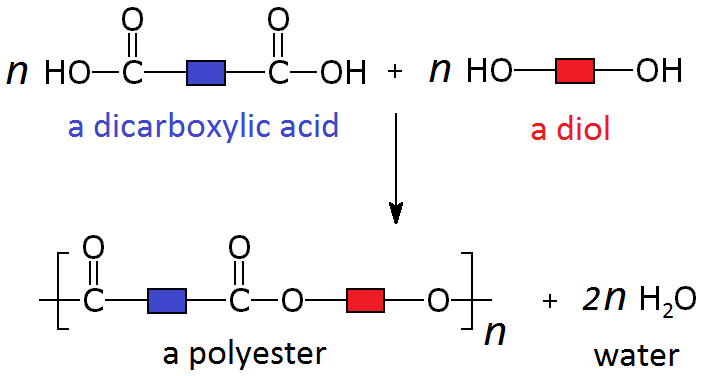 Polyesters are polymers formed when two types of monomer join together alternately. Where each joins to the next a small molecule, such as water or hydrogen chloride, is lost. This is called a condensation polymerisation reaction.